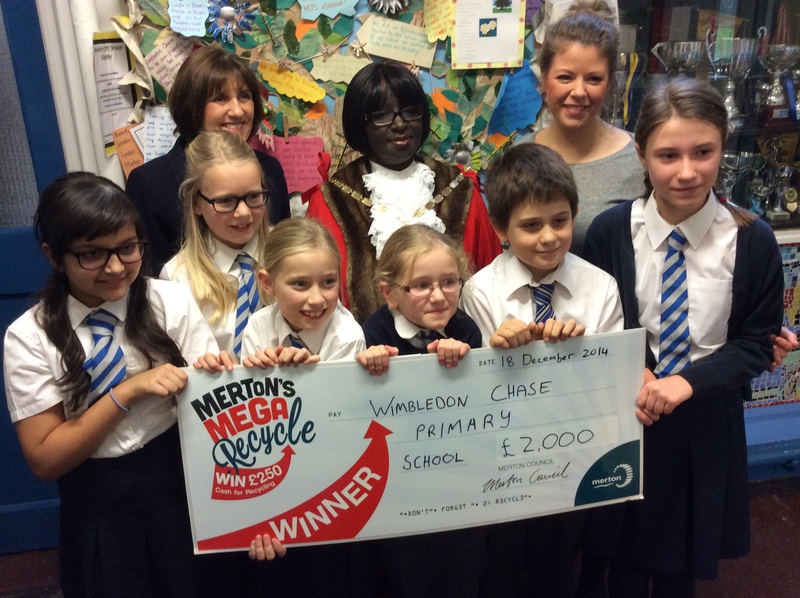 Mayor of Merton Councillor Agatha Akyigyina presented Wimbledon Chase Primary School with a £2,000 cheque after the school won the third prize award during the Mega Recycle campaign. Through the Mega Recycle competition, 206 local residents nominated Wimbledon Chase Primary School to win one of the top awards in the school category. 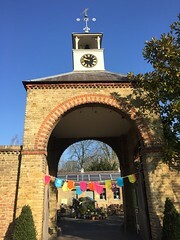 Wimbledon Chase came third just behind Dundonald Primary School who won second prize and Pelham Primary School who won first prize. All the schools involved in the competition helped encourage local residents to increase the amount they recycle. Mayor of Merton, Councillor Agatha Akyigyina with Headteacher of Wimbledon Chase Primary School, Sue Tomes (left) and pupils. Glebe Court residents were also presented with an award this week for their recycling efforts. Winning third place in the Mega Recycle estates competition, Glebe Court received £3,000 as prize, part of which has been spent on a new Mulberry tree for the neighbourhood.